A definition may be helpful. Fermentation is a transformative process in which microorganisms (bacteria, yeast and fungi) turn sugars into food acids, carbon dioxide and alcohol. Fermentation can occur naturally or using a starting culture, it preserves food, enhances flavours and has health benefits. Humans have been using fermentation for centuries. Fermentation can be a catalyst for Tasmanian agri-food enterprises. 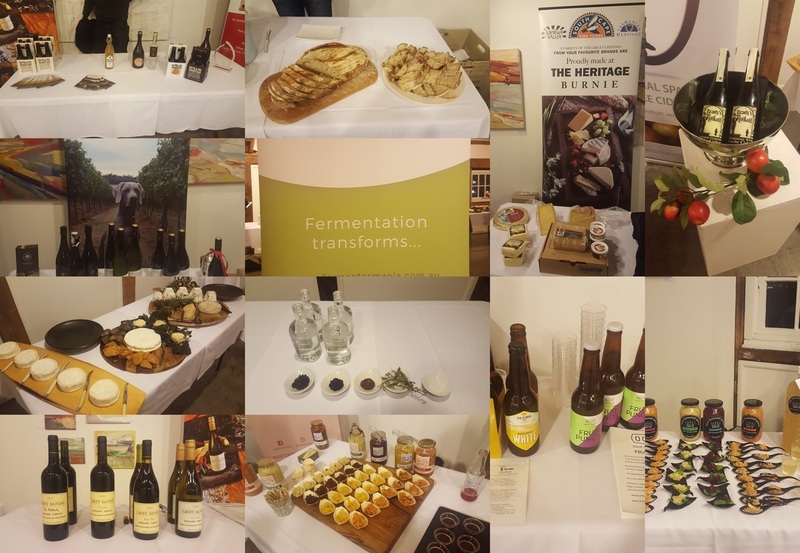 We see a great opportunity for Tasmania to capitalise on our State’s growing reputation as a producer of world-class food and beverages that all have a focussed point of difference - the skilled application of fermentation. Promote consumer education, short courses and other experiences as a tourist drawcard. To support this step change, Fermentas, an industry-led, not-for-profit industry cluster was established in 2016 to accelerate innovation, growth and collaboration for fermentation-based enterprises. The Fermentas aspiration is for Tasmania to be an internationally-recognised centre for excellence for the design, production and marketing of fine fermented food, beverages and other products. FermenTasmania’s corporate structure will evolve over time. The roll-out of its services will be staged over about five years, working initially with small to medium-sized businesses. what we term “The Sandpit”, creating an all-in workplace to develop ideas and trial pilot projects. Fermentas offers services where there are significant gaps, and works with existing service providers to enhance and grow their offerings – without replicating existing initiatives. Services focus on new knowledge and capabilities; new product development; new business start- and scale-ups; public and private investment; productivity improvements; increased competitiveness and export growth; and regional development. Driven by a Board of industry-led and focused members, Fermentas policies and activities are informed by government, education providers and community partners. Following extensive industry consultation and an assessment of world’s best practices (including desktop research and findings; industry needs scoping; international scoping and partnerships identification; an industry workforce development report and a business development plan), in 2018 Fermentas sought and received a grant of $840,000 as part of Food Innovation Australia Ltd’s national Cluster Support program (part of the Federal Government’s Industry Growth Centre Initiative), providing matched operational funding for three years. Fermentation Tasmania Ltd is seeking support to help us fund the physical space.. There are many ways this can be done, from small donations because you just love the idea of what we’re doing, to larger amounts with negotiated benefits to the investor. If you would like to discuss how you can contribute to this project, please send us a quick email and we’ll get back to you in a flash.